Join us as we walk you through a quick tech tip on how to install and adjust quick change push rod tubes. 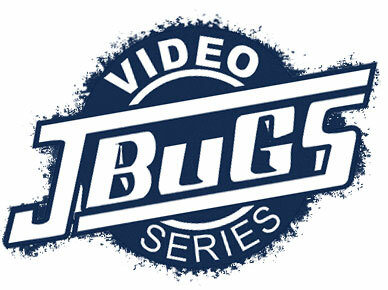 Learn the tricks that you can't find anywhere else with JBugs Tech Tips Video Series. Last week when one of our employees was off-roading in the desert, he and his friends had pulled into camp for the night. After unloading and settling down, he noticed that a puddle had quickly developed under his friend's car. A closer inspection revealed that the number three push rod tubes had been damaged most likely from a rock that had been kicked up into them. After the car had cooled down a bit, they cleaned the tubed off with some carb cleaner. When a visitor slithered up they decided to call it a night. The next morning the valve cover bale was popped off and the valve cover was removed. The rocker assembly nuts were unthreaded, and the rocker assembly was pulled off the head. The push rods were removed from the tubes. So they wouldn't be damaged when a pry bar was used to remove the leaking tubes from the engine. The case and head were cleaned up in preparation for the quick change adjustable tubes. A bit of oil from the valve cover was used to lube the seals on the new tubes and then the tubes were slid into place on the engine and the cylinder head. The lock nuts for the tubes were threaded down to lock the tube in place and two crescent wrenches were used to lock the jamb nuts together. The push rods were slid back into place into the tubes and the rocker assembly was installed back onto the studs after aligning all the push rods. The valves were adjusted on both cylinders to make sure they were in spec after removing the rockers. The valve cover was set back in place and the bale was pushed back on. Lastly, they checked the oil to make sure the engine wasn't running low from the leak and the fix was complete so they could enjoy the rest of their trip. This is exactly what quick change, two piece or adjustable push rods as some call them, are for. They are intended as a quick fix for a damaged tube in a temporary capacity. We never recommend using two piece push rod tubes as a permanent fix for an oil leak. Adjustable push rod tubes just offer another place for the oil to leak from. However, in the right place, at the right time, the tubes can mean the difference between cutting a trip short or finishing off a weekend in the dirt. Thanks for watching, stop by JBugs.com for all your off road parts and your vintage Volkswagen parts and accessories.